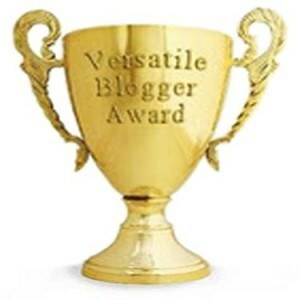 Thanks to Liz at Gilmored I have been nominated for the Versatile Blogger Award! (I like this much more than the first one) I’m a huge Gilmore Girls fan, and a lover of books and have attempted the Rory Gilmore reading Challenge many a time, so her fantastic blog is tailor made for me! Apologies for the ultra late response, I am not yet very good at balancing my work and fun time! 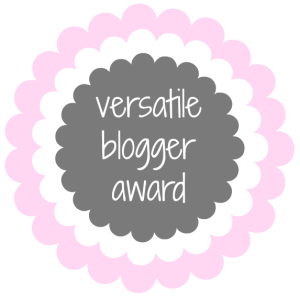 For this award, I am meant to thank the person who nominated me, share 7 facts about me, show the award on my blog and nominate other people. 1. I love going to the theatre especially to see Shakespeare and musicals. At the moment my all time favourite is Wicked, which I have seen five times, and yesterday actually I just bought my ticket for #6 when the production returns to Perth in a couple of weeks. However The Lion King is (finally) coming to Perth in November so i am predicting a tight race for my affections! 2. I hate eating peanuts or nuts of any kind, to the point where I’m pretty sure I have psychosomatically given myself a peanut allergy. Though I recently discovered that cashew and almonds are okay for me. 3. I love comic books (yes, I’m that girl, actually heading to go see Age of Ultron this afternoon) but in particular Batman and in that universe I am in love with/want to be Harley Quinn. She’s terribly clever, terribly insane and terribly in love with a man (The Joker) who will literally be the death of her! 4. I love to read, I live to read, and often at my own peril. Too many times I have been hooked on a book and “just have to finish it, which turns into me still up at 3am when I start work at 8! At the moment I am reading a series by Andy McDermott (that is okayish, but hooked me on all the archaeology and ancient wonders more so than the character sand the writing). 5. I have never traveled internationally without my family (and then only once) and only domestically (within Australia) once, and that was with my best friend who is pretty much my sister. I have a thousand and one places on my list, but somehow never seem to be able to swing a trip anywhere, and the thought of going alone seems overwhelmingly daunting to me. 6. I have fantasies about being so well known that when I die and people are going through my belongings, all my journals and notebooks get chronicled ala Agatha Christie’s Secret Notebooks by John Curran. I have at least five at the moment that I use (whichever is closest, not a very organised system) and those go back to 2002. 7. I have a phobia of emus (and to a lesser extent ostriches). No idea what this is offically called, or where it stemmed from, just that even as a high schooler I would steer clear of the emus (in an enclosure even) at the Royal Show. Once when I was 13 and had family visiting from South Africa, I stayed behind at attached to my father or in the gift shop when we took the visitors to an open range zoo (AKA kangaroos and emus just roaming around and the visitors get to feed them).